The Meningitis B Action Project was started by two mothers who each lost their young, healthy daughters too soon to a now vaccine-preventable disease, Meningitis B (known as MenB). 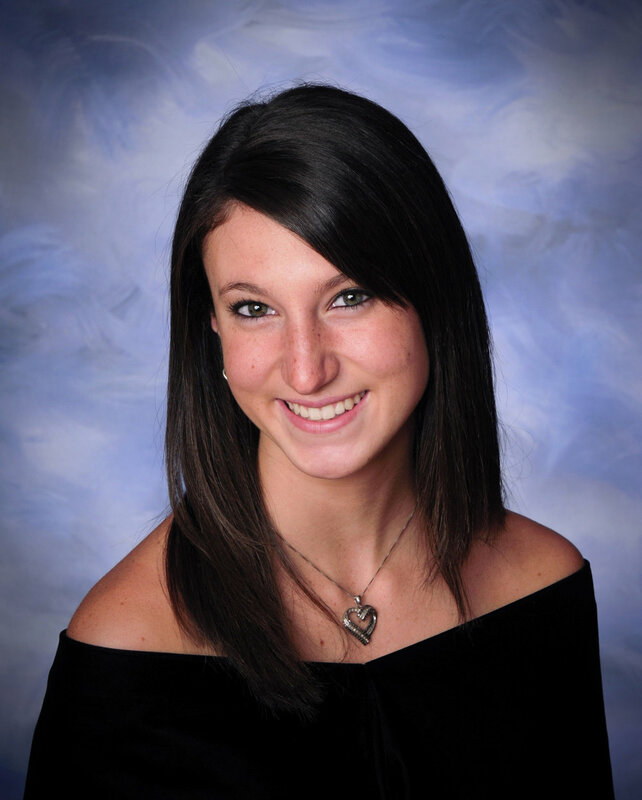 High school senior Kimberly Coffey, 17, died one week before her graduation. College sophomore Emily Stillman, 19, died just 36 hours after her first symptoms. In the case of Kimberly and Emily, while both had received the MenACWY vaccine, the MenB vaccine was not yet available to help protect them from MenB. In 2014, to educate the public about meningococcal disease and MenB vaccination, Patti Wukovits and Alicia Stillman each established their own foundations named after their daughters. Learn more about The Kimberly Coffey Foundation (Facebook) and The Emily Stillman Foundation (Facebook). Patti, a registered nurse, and Alicia, an accountant, have worked tirelessly over the last year to spread their message. Today, both mothers have joined forces under the Meningitis B Action Project to make sure other parents don’t needlessly suffer the same fate. 1. Arm parents and young adults with the information to proactively talk to their healthcare provider about MenB and the vaccine available to help prevent it. 2. Encourage the medical community and high school, college and university administrators to inform their patients and students about the MenB vaccine. 3. Engage policymakers to ensure broader access to the MenB vaccine. "I lost my 17-year-old daughter Kimberly to Meningitis B in 2012, two years before Meningitis B vaccines became available in the U.S. When the doctor in the Emergency Room told me she suspected my daughter had bacterial meningitis, I told the doctor it wasn't possible because she had been vaccinated against meningitis. But what I didn't know, and what so many parents still don't realize, is that there is a separate strain of meningococcal disease – MenB – that is not covered by the traditional, more widely-known meningitis vaccine." At 17, Kimberly Coffey was vibrant and healthy, and looking forward to starting college to become a pediatric nurse. She was beautiful with a radiant smile, a caring heart, and a witty sense of humor. She loved to sing, dance and perform in school musicals. Her greatest joy was a sunny day at the beach with her toes in the sand. Kimberly lived life from her heart, and she had so much more life to live. As a high school senior, Kimberly came home from school one afternoon complaining of body aches and a fever of 101. Her pediatrician recommended that she come to the office the following morning if her flu-like symptoms didn’t improve. The next morning, it was clear that this was something much more serious. She complained that her entire body hurt from her “eyelashes down to her toes,” and she felt like her ankles were "bleeding." As a registered nurse, I recognized the tiny purple dots on her ankle and panicked. Shortly after, she complained of intense pain in her back, where a dark purple rash had spread within a matter of minutes. She was rushed to the Emergency Room. When the doctor in the ER told me she suspected Kimberly had bacterial meningitis, it didn’t seem possible because she had been vaccinated. I had made sure that both of my children were up to date on all of their vaccines, including the meningococcal vaccination. I later learned that the meningococcal vaccine Kimberly had received (serogroup ACWY) did not protect her against meningitis B (serogroup B). I also learned that at the time, in 2012, there wasn’t a meningitis B vaccine available in the U.S. I was under the false impression that Kimberly was fully protected, when in fact, she was not. Within hours of Kimberly’s first symptoms, her heart and kidneys were failing. The purple rash had now spread all over her body, and she was rapidly losing blood flow to her extremities. Two days later, the official diagnosis was confirmed. Kimberly had meningococcemia — the meningococcal bacteria had infected her blood, and she was fighting for her life. After starting dialysis for her failing kidneys, she went into cardiac arrest. She was resuscitated and placed on a ventilator. Kimberly still had brain activity, and we still had hope. As the days stretched on, it was apparent that if Kimberly survived, she would likely be a quadruple amputee. Not too long after, Kimberly was declared brain dead. I had to make the most difficult decision of my life to remove my beautiful 17-year-old daughter from life support. There is not one hour that goes by that I don’t think about her. Kimberly Coffey was buried three days before her high school graduation in the prom dress she didn’t get to wear. She didn’t have the opportunity to be vaccinated against Meningitis B. From the very beginning, Emily always wanted to be on stage. As she grew, her one-time high pitched, squeaky voice became loud, clear and projected with confidence. Though she performed countless times in her 19 years, her crowning jewel earned her first place in the State Forensics Competition during her Senior year of High School. Emily had a strong charismatic presence. She made people laugh, and feel good about themselves. She loved spending time with and entertaining her family and friends. Her sense of humor, her improvisations, and her impersonations became famous among all who knew her. On January 31, 2013, she called home from her dorm room at Kalamazoo College, where she was a sophomore student complaining of a headache. I thought she could be coming down with the flu. Emily thought it was from lack of sleep the previous night where she had been up late studying. We decided she would take a few motrin and touch base in the morning. Emily woke up several hours later and complained to her suitemates that her headache was worse, and she felt she should go to the hospital. She walked into the hospital with her backpack, her computer, her ipad and her homework. She had no idea how sick she was. Since Emily presented with only a headache, she was originally treated for a migraine. Only later that night, and into the next morning when the symptoms continued to progress, did they begin to suspect meningitis. As the diagnosis was confirmed, and an antibiotic treatment started immediately, Emily lost consciousness due to the severe swelling from the infection in her brain and spinal column. Since Emily was 19 at the time, I did not receive a call until the next morning. On my way to the hospital, I made several phone calls. I called my husband who was out of town. I called my parents who were out of town. I called Emily’s pediatrician to confirm that she had received the meningitis shot. And, multiple times, I called the hospital back to persuade them to double check the test results. I did not believe it was possible that Emily had bacterial meningitis because she had been vaccinated. I arrived at the Hospital to find my unconscious daughter being prepared for a craniotomy. It was explained that if Emily would survive this catastrophic illness, they must provide her severely swollen brain room to expand. In spite of the hopes and prayers of her family who had begun to congregate at her bedside throughout that day, the swelling never did decrease. A final medical test early in the morning the next day confirmed there was no brain activity. Emily was brain dead, and most likely had been from the time she originally lost consciousness. The morning of February 2, 2013, just after 36 hours in the hospital, Emily passed away. She was able to save 5 lives with 6 organs, and countless others with her bone and tissue. Our family was shocked to find out she had bacterial meningitis. We believed that our daughter was protected from this horrible disease because she had received the meningitis shot from her pediatrician when she was 11, and had received a booster dose before she left for college. We had never even heard of Meningitis B. Our medical council is made up of leading physicians and healthcare professionals at the forefront of meningococcal disease research, education, policy and advocacy. The Council provides support to the Meningitis B Action Project through medical counsel and review. Dr. Paul A. Offit is the Director of the Vaccine Education Center at the Children’s Hospital of Philadelphia and the Maurice R. Hilleman Professor of Vaccinology and a Professor of Pediatrics at the Perelman School of Medicine at UPenn. Dr. Mary Koslap-Petraco is a clinical assistant professor at Stony Brook University School of Nursing in Stony Brook, NY, and a primary care provider in her own private practice. She is also a Nurse Consultant on the staff of the Immunization Action Coalition. Dr. Nathan Boonstra is a General Pediatrician at Blank Children’s Pediatric Clinic in Des Moines Iowa. He has a special interest in using social media to dispel myths surrounding pediatric vaccinations.